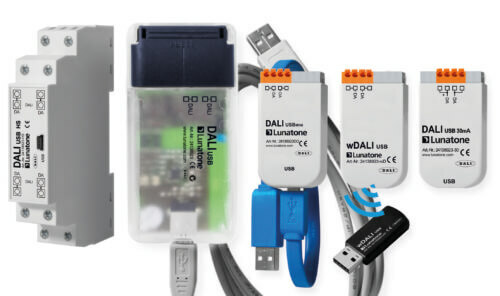 DALI (Digital Addressable Lighting Interface) is the acronym for a standard two-wire bus system for the control of lighting systems and similar systems used for modern building management. This open (non-proprietary) system, which has found widespread use in recent years, makes impressive light moods possible in a simple and economical way. One of our main scopes is the development and production of DALI components. Our assortment includes sensors and control devices as well as interfaces and lighting equipment.